We want active classrooms, filled with excitement and energy. But how do we support the natural enthusiasm children bring and make sure everyone in the room can also focus, self-direct and learn? A classroom is a community and having a language and activities that support acceptance, self-monitoring and ways to actually bring more peace into the space go a long way. These five yoga and mindfulness tools for the classroom can help. 1. Let it be a regular part of the day. Kids respond well to routine. 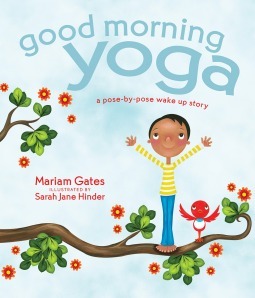 Try using the Good Morning Yoga flow in the morning circle (or whatever those first moments look like). It takes 3 minutes to do the full sequence but you can also experiment with also just picking 5 poses from the sequence. The kids will quickly learn the routine and be able to even do it on their own. Repeating the poses each day builds their confidence and also is a great reminder to start the day feeling refreshed and relaxed both physically and mentally. 2. Listening…In: Use listening to practice awareness. This exercise of being quiet and paying attention to sounds for 8 counts is very effective in helping children to pay attention and notice the world around them. Have the class sit with legs folded crisscross (or lying down) and let them know you are going to count to eight, but while you do, everyone will be as absolutely quiet and still as they can. As a group you are all going to pay attention to how many things you can hear outside and inside when you are super quiet. 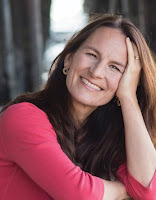 Try counting slowly: 1 . . . 2 . . . , reminding the class to pay attention to what they might be able to hear outside now that they are so quiet; 3 . . . 4 . . . , now remind them to pay attention to what the can hear inside the room that they don’t usually notice; 5 . . . 6 . . . , now ask them to see if they can hear anything inside their own bodies—maybe their breath; 7 . . . 8. Ask the class to share what they heard. The practice of pausing before a new activity to be ready body and mind is a great habit to start at a young age. Focusing on the breath is a great place to start. Try making one full breath in and one full breath out part of students’ preparation before beginning a new task in the classroom. 4. Make it Interactive: There are wonderful objects to bring into the classroom that can aid in focusing kids. One way to ask the class to get quiet is to use a rain stick or a sounding bell; the students know it is the signal to stop and listen. To take it one step further, have students listen to the sound and then wait and indicate with a quiet hand the moment they no longer hear it. 5. Have Fun! Luckily—kids love yoga! 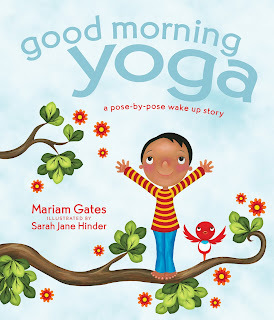 All of these yoga and mindfulness activities help kids feel more relaxed and at ease in the day. Using music, props, and allowing them to explore their own creativity by making up their own yoga poses takes these practices and make them a favorite part of the day. 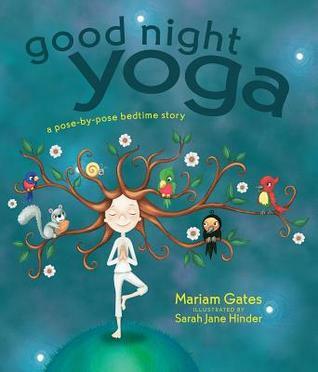 One lucky winner will receive both books by Mariam Gates--GOOD MORNING YOGA and GOOD NIGHT YOGA, along with a full-color poster!